The Nasal Cannula for adults, made from pliable plastic, is a user-friendly product, designed to meet your oxygen supply needs. Reviewers attest that this product is designed with your comfort in mind. Curved nasal prongs allow for the perfect fit. This soft-touch nasal cannula prevents nasal irritation. Primitive nasal cannula's caused serious abrasions on the skin and pressure ulcers. Today you can enjoy soft plastic cannula's that don't rub or break the skin. Never wake up with sore nostrils again! Tubing is narrow, colorless, and virtually invisible when worn. The product was created to fit all. Flexibility of the tubing allows for adjustment to proper comfort level. The Nasal Cannula stays in place throughout the night so you can achieve that restful sleep you have been dreaming of. At seven feet in length, the Nasal Cannula gives you the ability to move freely during the night while providing a steady stream of oxygen. The length of the tube is also beneficial during day time activities. Having mobility is important during daily tasks, and even leisurely activities. With seven feet of tube you won't have to worry about getting to wherever you are going. Design-Features soft plastic, allowing for the perfect fit. Latex Free-Perfect choice for those suffering from latex allergy. Also a bonus if you are sensitive to the smell of latex. Packing - Comes in sealed individual packaging. Nasal Cannulas come in a pack of 50 for your convenience. Be sure to make an accurate determination of how long you will use your disposable cannula. Every situation is unique, therefore length of use may be adjusted for each user. Ease your stress by ordering ahead of time when you anticipate yourself running low on Nasal Cannulas. The cannula has two small prongs. Insert into the nostril, with the curved prongs pointing downwards towards the nostrils. Lift the tubes so that they sit on either side of the nose and carefully fit them over your ears. Adjust the slider up under the chin to prevent discomfort to the face. Also, be sure that the tube rests high on the cheekbones. Do you need to worry about kinking? No, the Nasal Cannula is kink resistant. You will not need to worry about your oxygen flow being interrupted. Does the Nasal Cannula get stiff with use? 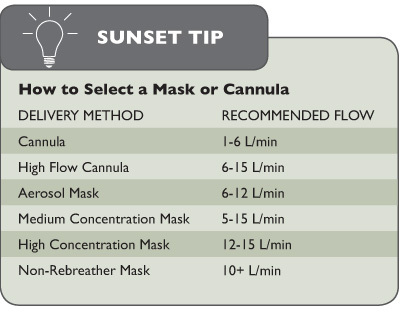 Reviewers testify that the Nasal Cannula stays soft and pliable to allow for an ideal fit.